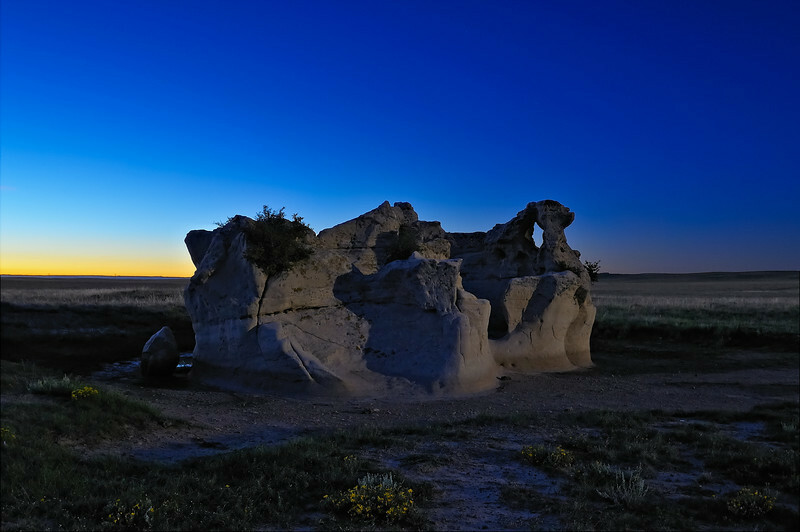 I have no idea what the name of this rock formation is nearby Carr, in northeastern Colorado. But it reminds me of a natural Stonehenge or rock fort of some kind. Lit up by the full Harvest moon at the blue hour, it was an irresistible subject. Shot a fair amount after sundown when the light of the moon was over-powering what was left of the sunset.